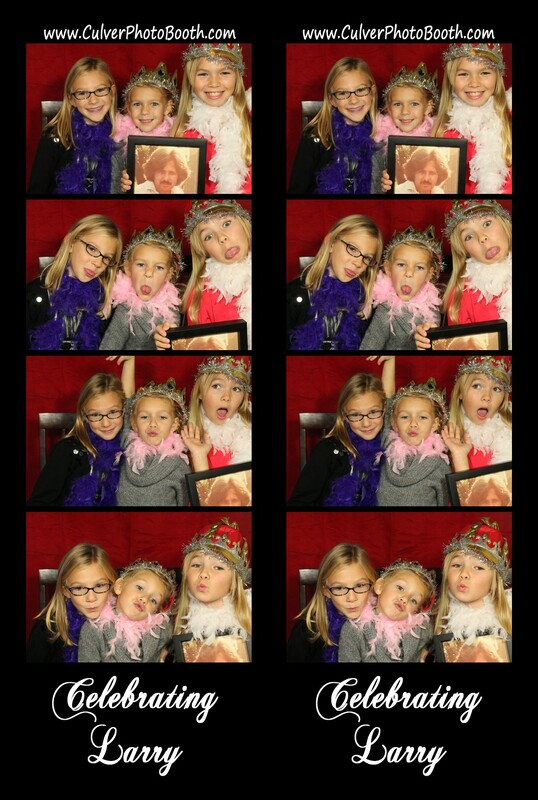 Two nights ago, I received, what seemed like at the time, an interesting request for the photo booth. I was asked if I could bring the photo booth to a wake on the following afternoon in Syracuse, Indiana. Yesterday, I traveled to the beautiful Oakwood Resort in Syracuse and had the photo booth at my first wake. Though, at first, this seemed like the untraditional thing to do, now, in hindsight, I think it turned out to be a very nice tribute to a man who loved life and lived it to its fullest. Instead of mourning their loss of a loved one, the family wanted to celebrate his life with a get-together of friends and family to remember the joy and love that he brought into everyone’s life. And… after spending 3 hours talking to his friends and family, while watching a slideshow in the background, I truly believe the family gave their father a wake that he would have been happy about and enjoyed. Along with my normal props, I had my Christmas props with me last night. The family had asked that I bring them. The man they were celebrating loved Christmas and had even won an ugly costume contest one holiday season. I’m told that he would have gotten a kick out of the naughty/nice hats, the reindeer antlers, and the elf hats. Lastly, we had a photo of the gentleman that everyone took into the booth with them. It was a special way of getting one last photo with him. I’ve posted the photos from photo booth of this special event to: http://www.culverphotos.com/celebrating_larry. I’m grateful I got to be part of the experience.